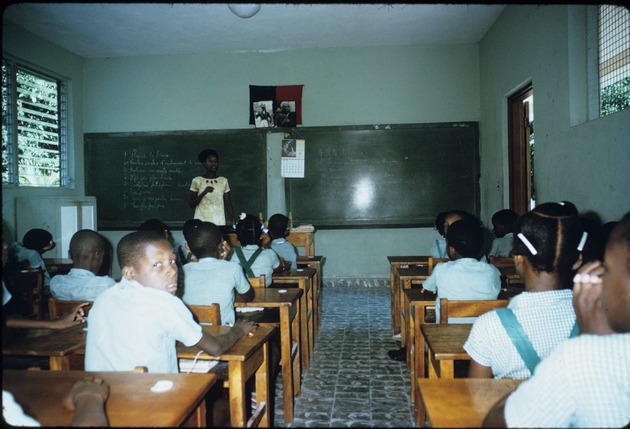 Co-educational classroom in Port-au-Prince. Students are wearing uniforms. On top of the board is the Haitian flag, a picture of Jean-Jacques(left), one of the founding fathers of Haiti, and François Duvalier(right), the Haitian president at the time .